A powerhouse dancer with expansive reach and bravura, Brown creates work that combines modern and postmodern dance, West African forms, and vernacular dances. Camille A. Brown was first known in the dance world as a powerhouse dancer with expansive reach and bravura. She has been lauded as explosive and articulate. A force of nature. Those kinds of movement descriptions are also metaphors for a roadmap of her rich career. In addition to her dancing, Brown is an award-winning choreographer, an artistic director, a teacher, a community activist. Cover girl of Dance Teacher magazine, twice the poster image for Jacob’s Pillow, and brand Ambassador for Curls, a leader in the natural hair care industry. She was the first woman to receive the prestigious Princess Grace Award for Choreography. She is also the winner of a Guggenheim, and a Bessie, a Doris Duke Award, and other noteworthy awards too numerous to mention. Her relationship with the Pillow spans the gamut, appearing first as a dancer in 2002. Her company, Camille A. 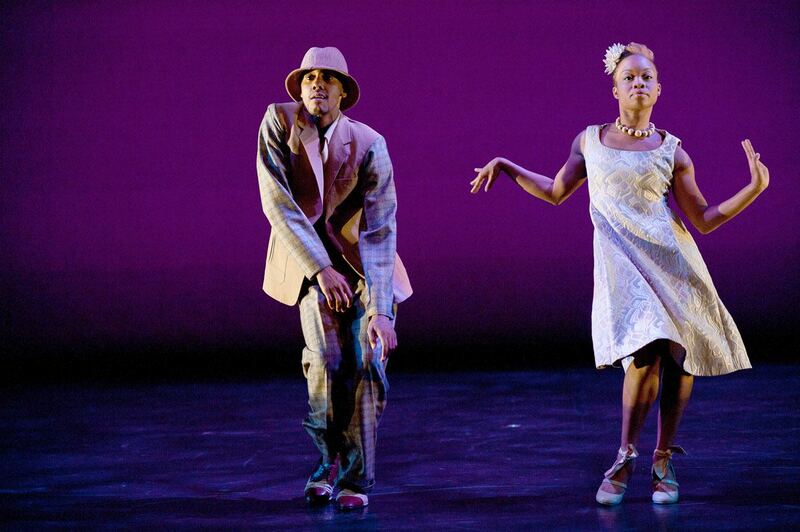 Brown and Dancers, first appeared at the Pillow in 2010, premiering works in the Doris Duke Theatre. She has returned several times since then. 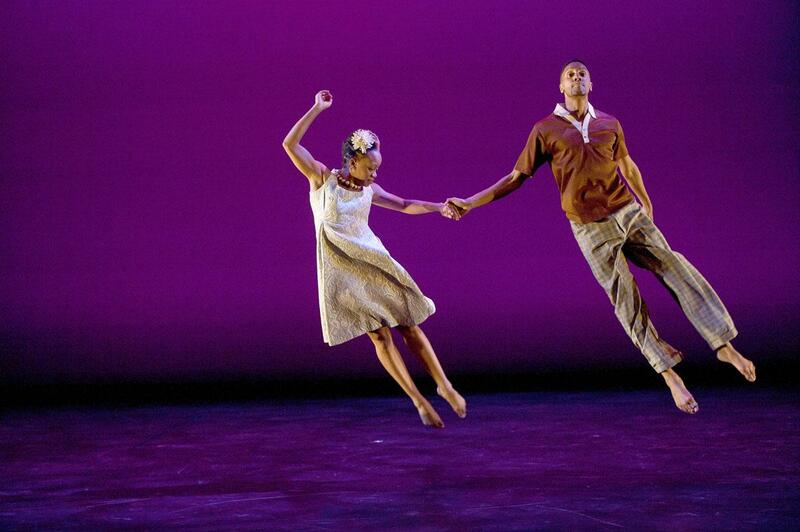 She and choreographer Kyle Abraham were commissioned by the Pillow to produce a joint show called Kyle and Camille. She co-directed a program in the School at Jacob’s Pillow. She has conducted Creative Development Residencies in the off-festival months. She and her company have performed on the Gala on two occasions. And she was the well-deserving recipient of the Jacob’s Pillow Dance Award in 2016. For the 2013 Gala, Brown performed her solo The Evolution Of A Secured Feminine (2007). Set to a suite of standards, the exquisitely danced piece is evocative of a sense of women, different kinds of women, or perhaps the same woman at different stages of her life. With her face mostly concealed by a hat, Brown trusts that her body will communicate the sense of this woman, especially paired with the voices of Betty Carter and Ella Fitzgerald. Her crisp, punctuated movement is simultaneously fluid. She sets the bar high for the rest of the dancers. Brown first performed at the Pillow as a dancer with Ronald K. Brown/Evidence. In addition to performing with Ronald K. Brown, who is no relation, Brown has danced with Dianne McIntyre, Nathan Trice, Bridget L. Moore, Matthew Rushing, and Rennie Harris. In 2016, she appeared as a Special Guest in the world premiere of the show And Still You Must Swing with tappers Dormeshia Sumbry-Edwards, Derick K. Grant, and Jason Samuels Smith. How then did this dancer become a choreographer? In the summer of 1999, Hubbard Street Dance Chicago initiated a National Choreographic Competition. The annual competition provided three winners each with a one-week residency to create an original work on Hubbard Street II, the second company. After her work was selected, Brown started to think about herself differently. As a dancer, Brown has been called a fabulous performer with technical bravura. As a choreographer, she could depend on that talent as a mover to guide her choreography. But, she has never been choreographically interested in movement for movement’s sake; rather, she wants to make dances that present “a story using every aspect of the arts.” She draws on her interests in theater, books, film and music—from 1930s jazz to hip-hop—as well as history, current events, and close observations of daily life. An example of her interest in history is Matchstick (2009), which was performed at the Pillow in 2010. Brown conceives of this work as set in the South, fifty years after the end of the Civil War and fifty years before the Civil Rights Movement. It was during this period of the Great Migration when more than a million African Americans left the South for opportunities in the North and the Midwest. The four men in the piece gesture, stand, stomp, and slump through this choreographic discussion on whether to leave home and seek a life of better prospect. 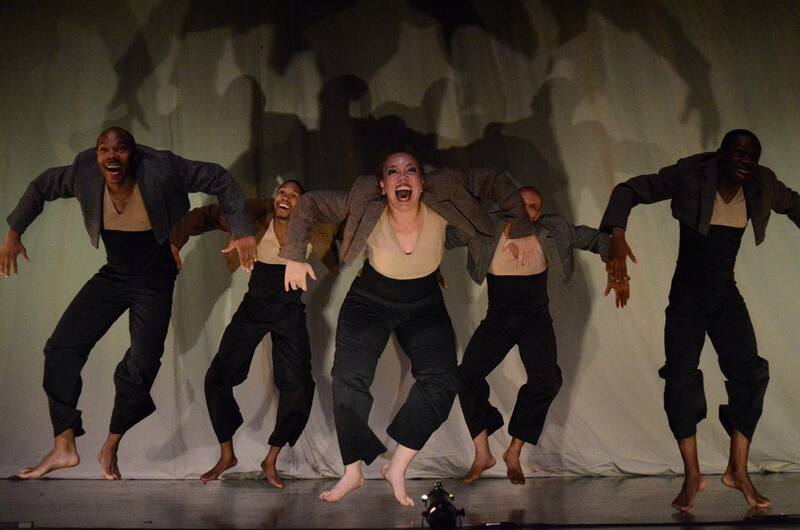 In 2011 and 2016, the company performed excerpts from Mr. TOL E. Rance, a dance theatre work that grapples with the history of stereotypes in black entertainment. The piece was awarded the 2014 Bessie award for Outstanding Production. Brown’s choreographic research was inspired by multiple sources, including Mel Watkins’s book, On The Real Side: From Slavery to Chris Rock and Spike Lee’s film Bamboozled. This work made clear to audiences that Brown was not going to make dances that were easy, neither for the dancers nor spectators. Following every performance, as a kind of third act, Brown, the dancers, and a guest moderator participate in a conversation about the work, racial politics, stereotypes, both in the past and in the present. Her expertise in social dance was seen in her leading the program for the School at Jacob’s Pillow called Social Dances: Jazz to Hip-Hop, with co-director Moncell Durden. Her duet, Been There, Done That (2010), which premiered at the Pillow, gives a sense of her expertise with social forms, theatricality, and how they can be used on the concert dance stage. A Pillow commission with Brown and choreographer Kyle Abraham received a joint commission from the Pillow that resulted in a rare opportunity for the talented dancers/choreographers to collaborate. In How We Process (2011), Brown and Abraham reflected on the very different ways they approach dancemaking. In 2017, Brown returned with Black Girls: Linguistic Play (2015). After early and extensive training in New York City, Camille A. Brown received her B.F.A. in Dance from the North Carolina School of the Arts. She enjoyed a long-lasting professional association with Ronald K. Brown/Evidence from 2001 to 2007, though the two Browns are not related. Her choreography has received extraordinary recognition for a young artist, and in 2006 she became the first woman to receive the Princess Grace Award in Choreography. Since then, she has created works for companies across the country, including two commissions for the Alvin Ailey American Dance Theater. Her company has conducted multiple Creative Development Residencies at Jacob’s Pillow, and their debut engagement in 2010 included two world premieres (as well as repertory works such as The Evolution of a Secured Feminine). The following year, she collaborated with Kyle Abraham on a unique Pillow presentation known as Kyle and Camille. She received the Jacob’s Pillow Dance Award in 2016 and returned with her company in 2017 for its first engagement in the Ted Shawn Theatre. 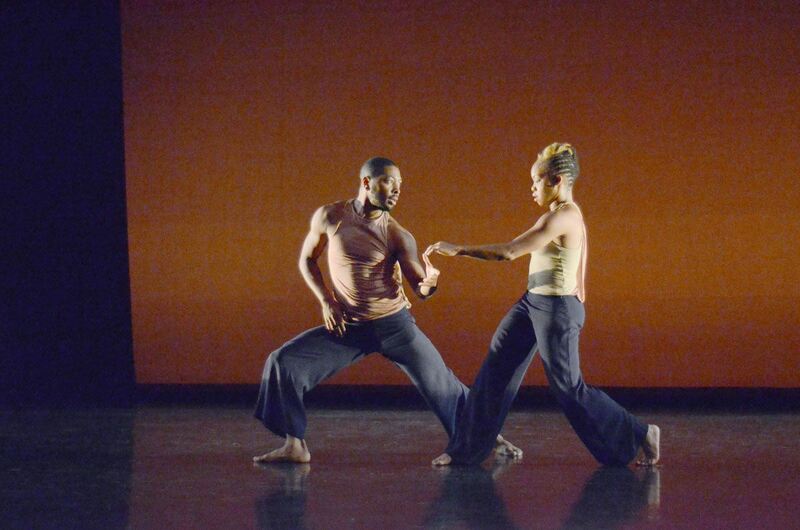 With stunning results, Brown combines modern and postmodern dance, West African forms, and vernacular dances, shifting styles not from piece to piece, rather from moment to moment. She takes on big questions, and trusts that dance is a way to provide answers.